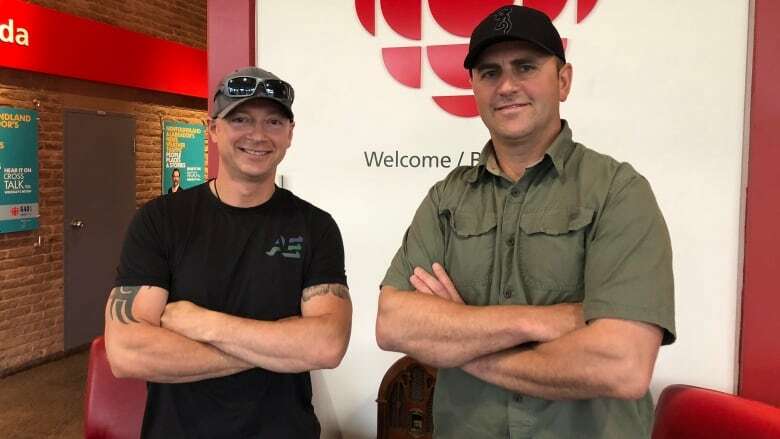 Eugene Hynes and Jason Brushett want to do something good for the environment. Last week, they did something good for a Paradise woman, too. Seventeen years ago, while working a night shift, Colleen Meade turned her back for a minute and her purse disappeared. 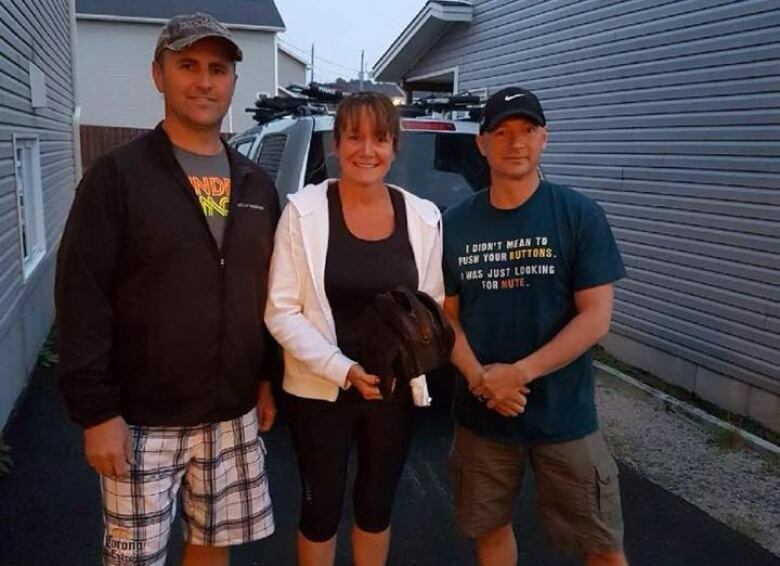 This week, the Newfoundland woman got it back, thanks to two kayakers and the unusual way they spend their free time. "To this day, I still can't believe it," Meade told the St. John's Morning Show. For Eugene Hynes, it all started last year, swimming and snorkeling with his children in the pond by Peter Barry Duff Park in Paradise. Through their face masks, Hynes and his children saw a lot of garbage on the pond bottom. "I decided I could do something about it," he said. 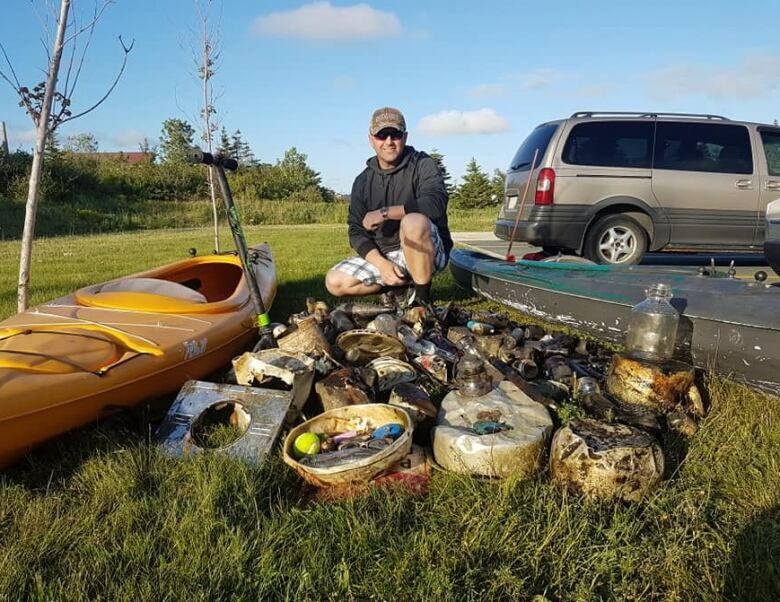 He grabbed a kayak, a wetsuit and his friend Jason Brushett, and together the pair started doing regular pond clean-ups. Calling themselves Avalon Pond Cleanups, they dive for rubber boots, tin cans, toilet plungers, inner tubes and rusted hubcaps. They stuff the junk into their boats, turning their kayaks into pond garbage barges, and bring it all to shore. "It's good exercise, it's almost like a mini treasure hunt," Brushett said. He said he enjoys doing something good for the environment. Last Friday, he got to do something good for Colleen Meade, too. Brushett and Hynes were about 25 feet from the shore on Mitchell's Pond when Hynes saw something interesting. "I happened to look down and the purse was just looking at me," he said. When they brought the purse to shore and took a look, they saw it was full of identification cards, including a driver's license that belonged to Colleen Meade. They headed to the Paradise address on the card, hoping to find her. Lights were on in the house and a dog barked from inside when they rang the bell, but nobody opened up the door. "We're looking at each other and I think Jason said, 'Would you answer the door to two guys standing there in their wetsuits?'" Hynes said. A neighbour told them Meade had moved. One of the cards in the purse led them to Meade's employer and on Monday, Hynes phoned and said he was looking for her because he found her purse. "An hour later, I had a call," he said. When Meade first got the email from her employer saying someone was looking for her because they'd found her purse, she thought it was a prank. 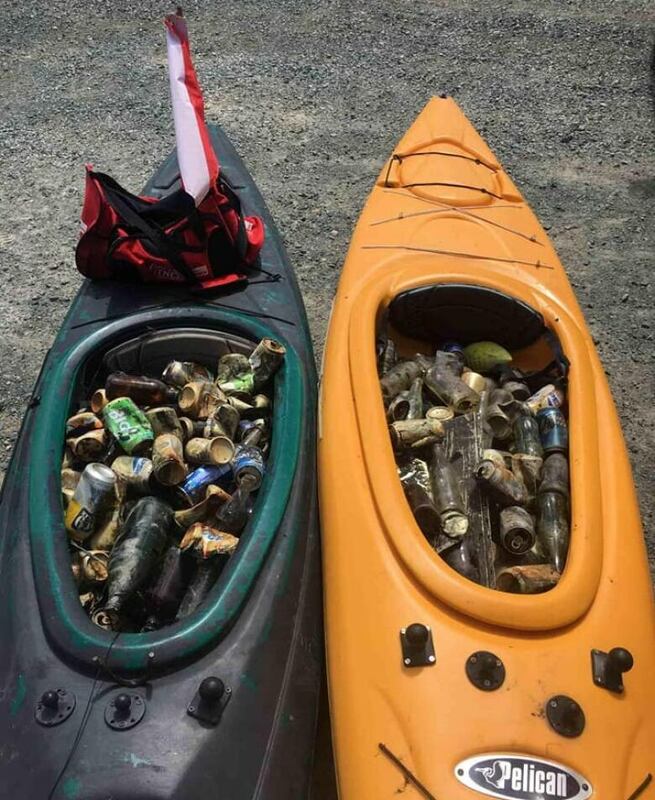 When she phoned Hynes — a stranger who said he was out snorkeling and picking garbage out of a pond — she was even less convinced. "I thought this guy was a little bit crazy," she said. But once he started listing off the bag's contents, and told her to check out the Avalon Pond Cleanups website, she started to believe him, and asked if she could meet up. "Sure enough, it was my purse," she said. "Seventeen years later, with all my ID." 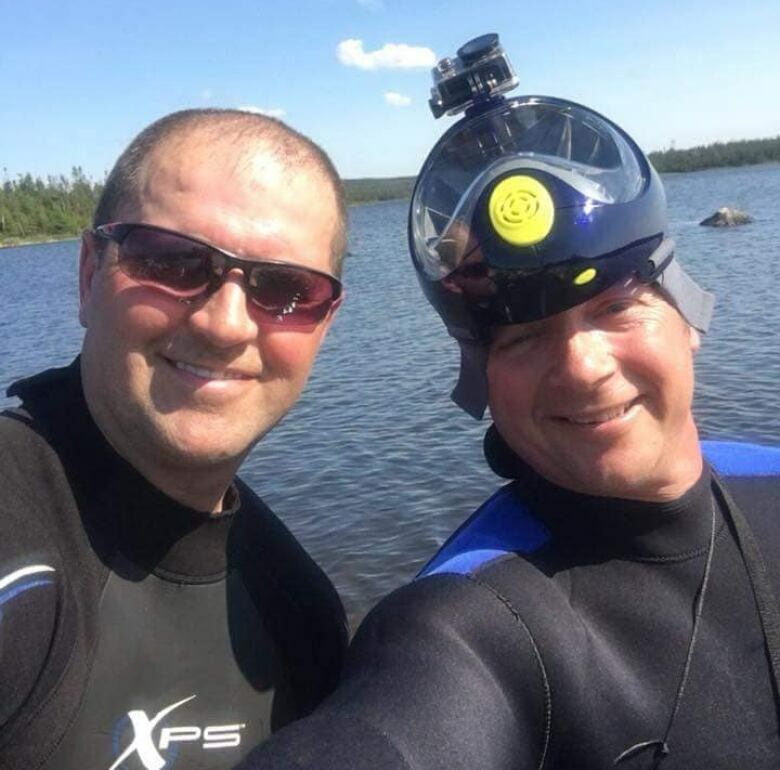 Just like the work they do cleaning up the ponds, Hynes and Brushett say the work they did tracking Meade down was worth it. 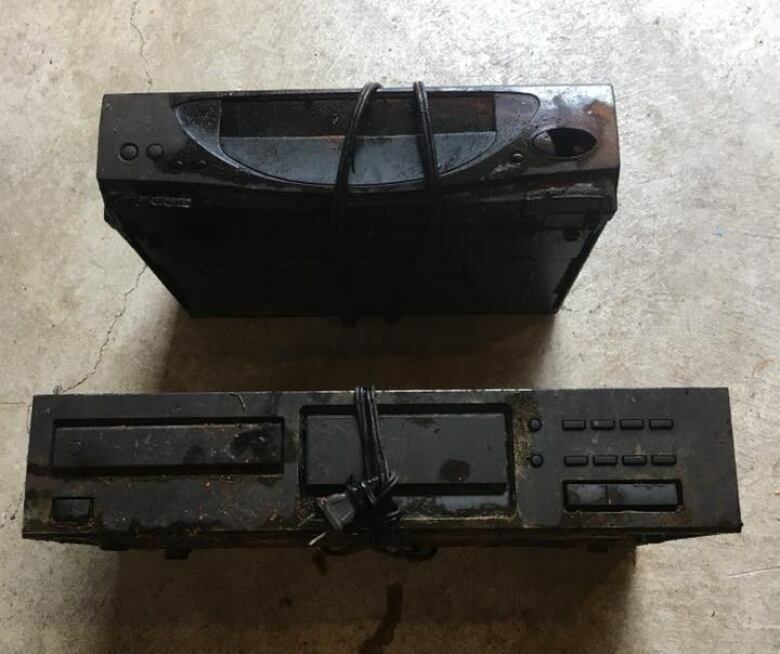 "It touched me because I had my wallet stolen before and I never got it back, so it's nice to return something," Hynes said. Meade said it meant the world to her to have two strangers spend three days finding her to return an old purse and all her identification — as well as the few coins that were left in the bag. "There's not very many people who would actually do that. I think a lot of people would have just took the purse and thrown it." Her message to the men? "Keep up the awesome work."